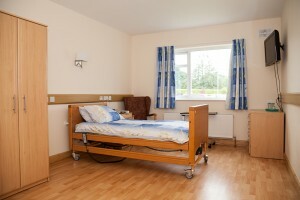 Our goal at Flannary’s Nursing Home is to provide a comfortable stay to our residents and best care for elderly people. With the help of the fair deal scheme Ireland, we are here to ensure each resident is relaxed content with the overall environment of the centre. Regardless of your particular situation, Flannary is here to give you the attention you need. 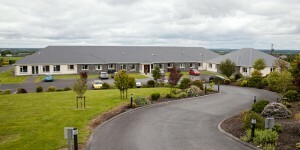 Our facility has the best outdoor activities that retirement homes in Ireland can offer. With knowledgeable staff, enclosed gardens and daily, weekly and monthly activities, residents can enjoy a full-life. Below is a summary and list of all of our included accommodations. All of our luxuriously fitted bedrooms have full en-suite facilities, remote control TV, nurse call system and direct dial telephone as standard. Our bedrooms are spacious and bright. 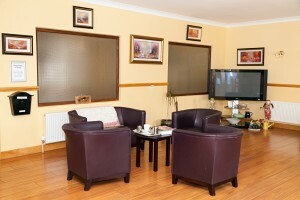 Our home is tastefully decorated with a comfortable homely atmosphere. Residents are encouraged to add a personal touch to their room by bringing familiar items from home to decorate, such as favourite photos, cushions or throws etc. Our rooms benefit from panoramic views of our landscaped gardens and surrounding countryside. Our home is a ground floor facility with spacious corridors for walking in inclement weather and a number of communal rooms for delivery of activities etc. Outdoors: Residents may enjoy our carefully tended gardens and walkway with resting points along the way. Enjoy tending to our raised bed enclosed garden with the company of other residents and staff. 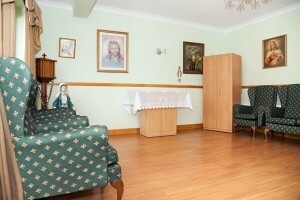 The staffs at our Medical Centre Galway is equipped to handle the medical conditions and emergencies of residents at different stages of their lives, physically, spiritually and emotionally. It is wheelchair accessible area and has a Jacuzzi room. We are close enough to various hospital and care facilities so that our residents always have access to the specialised care they need without the hassle.